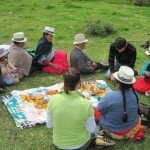 Spanish Language Courses in Cuenca, Ecuador. 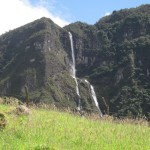 Ecuador is a small country with a population of 11,000,000 people. It is about the same size as the United Kingdom (approximately 280,000 Km2), but it is a great country in the majesty of its landscape and variety of all types of life. Ecuador is a land bursting with contrasts: the warm Pacific coastline, the summits of the Andes mountains and the tangled Amazon rain forest form a brightly colored mosaic of exuberant nature and cultural diversity. And one cannot forget the Galapagos Islands, at a short two hour flight away. 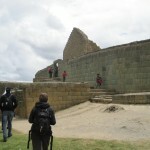 Of all Andean countries, Ecuador is certainly the one in which travel is easiest and safest. Distances are short, infrastructures are acceptable, and prices are quite accessible. Whether scaling the heights of the Andes, venturing into the heart of the Amazon jungle, or sunbathing on the Pacific beaches, Ecuador offers the traveler a variety of adventures which can be reached by a bus trip of a few hours or by a half-hour flight. We highly recommend staying an extra week, or at least a few days, to travel after you have finished the Course. You’ll find it’s definitely worth it! 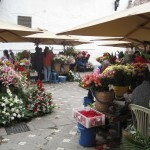 The City of Cuenca is the cultural capital of Ecuador and its third largest city. 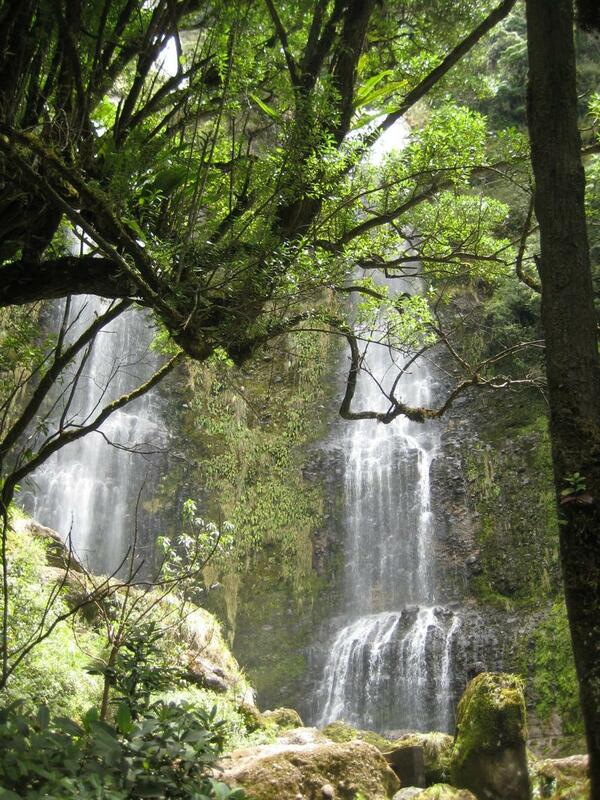 It is also Ecuador’s best-kept secret. 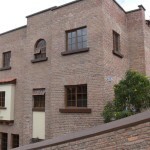 Cuenca and its surrounding region are rich in history, with a colonial atmosphere that has survived thanks to years of almost complete isolation. Cuenca is a city of fascinating contrasts: two universities, museums and art galleries stand alongside Indian markets rarely visited by foreigners. Exploring this delightful Latin American city and getting to know its friendly people will make you want to stay forever. Estudio Sampere was established in Madrid, Spain, in 1956. It is one of the oldest and best known Spanish language schools dedicated solely to teaching Spanish as a foreign language. 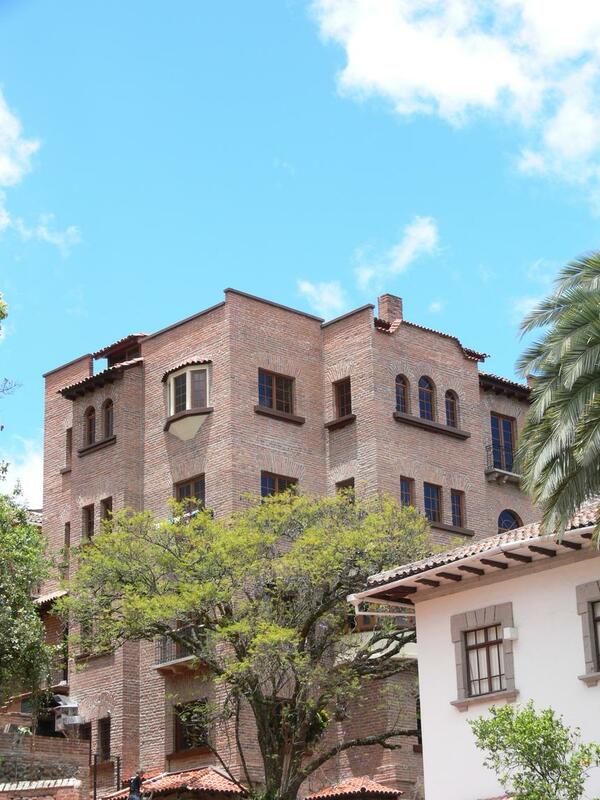 The Estudio Sampere Spanish Language School in Cuenca, Ecuador, follows the same curriculum and offers the same high quality Spanish learning experience as the Estudio Sampere centers in Spain, but also offers a uniquely Latin American cultural experience. 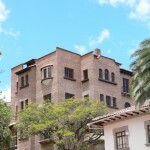 Cuenca was chosen as the location for the Sampere Spanish School in Latin America for several reasons, the most important being the kindness and hospitality of the inhabitants (population 250,000). 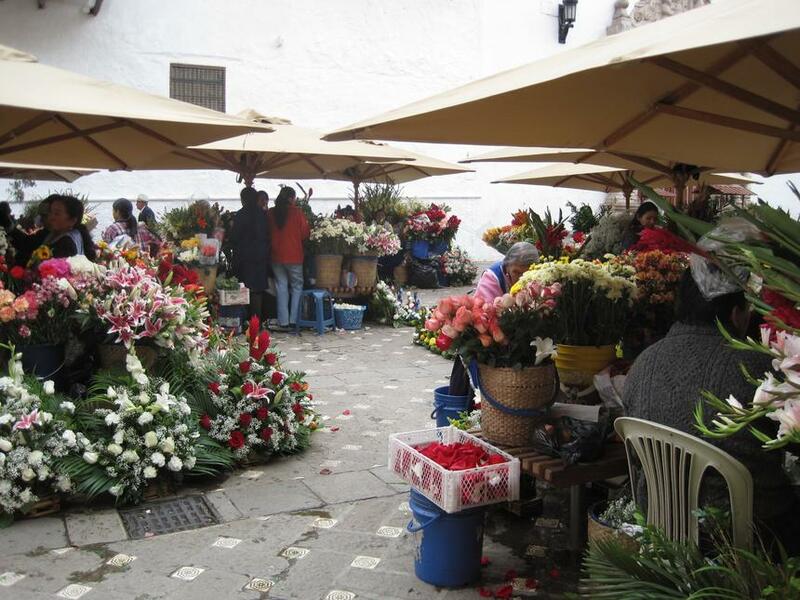 Cuenca has successfully preserved its colonial past from its cobbled streets, churches, pre-Hispanic ruins, museums and craft shops to its colorful Indian markets. 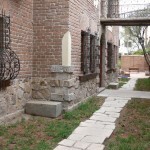 This cultural heritage is found side by side with modern office buildings, art galleries and two Universities, all in a world brimming with colors and contrasts. Cuenca is located in an Andean valley at an altitude of 2,200 meters, and the climate is spring-like, with average temperatures ranging between 14° and 24° C. The region is rich in history and tradition -the Ingapirca ruins and picturesque craft villages such as Chordeleg are found nearby. 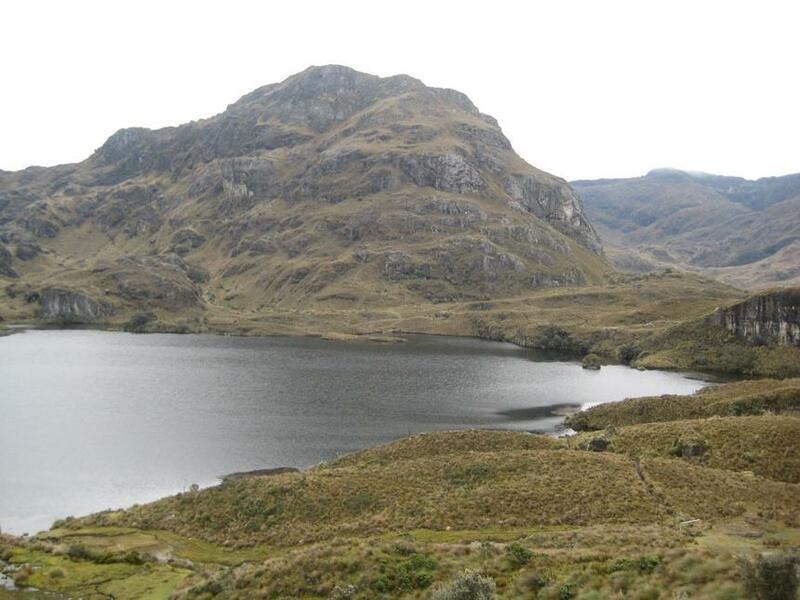 Nature in Ecuador displays all her magnificence- the Cajas Natural Park and Avenida de los Volcanes (Volcano Avenue) are easily accessible. 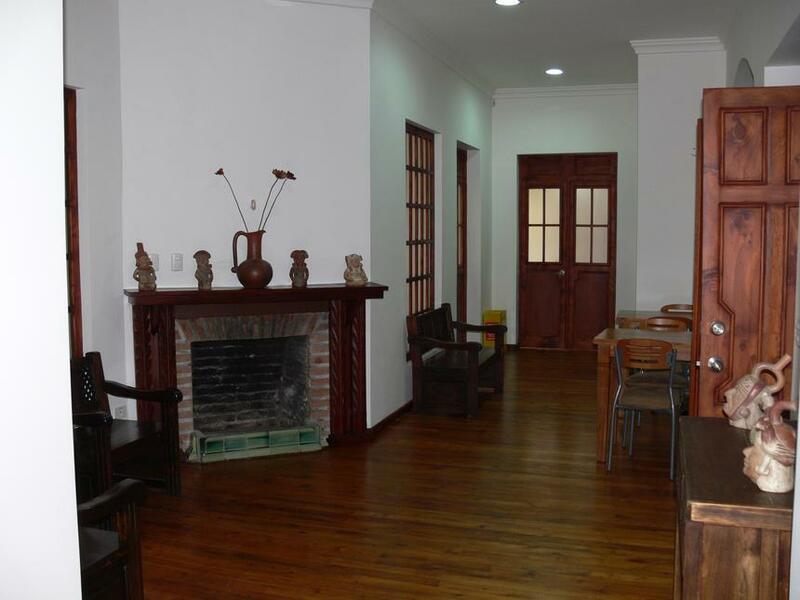 The Estudio Sampere Spanish Language School in Cuenca is situated in a detached building overlooking the Barranco River in the city center. 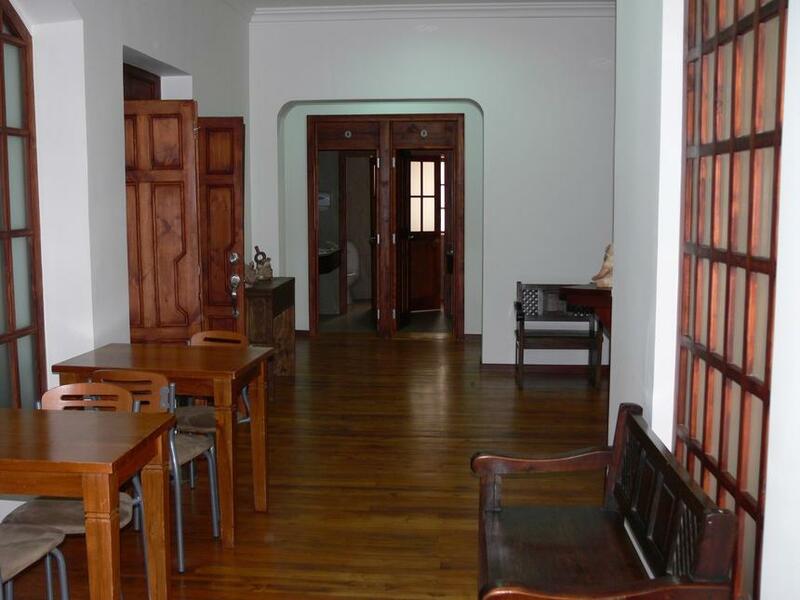 The school has seven classrooms, a small garden, common room, library and video room. 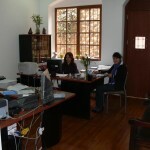 It has a friendly atmosphere, and the director and staff are Ecuadorians who make up a professional and committed team. Intensive Spanish Language Course – Group 6 – 20 Spanish Lessons plus 4 Spanish Cultural Lessons per week. Maximum of 6 students per class. 20 Spanish lessons per week (1 lesson = 45 minutes). 4 Spanish Culture lessons per week. Materials required for the Course (Home work and exercise book). Text book on loan for duration of the course. 7 levels: Beginner, Advanced Beginner, Elementary, Intermediate 1, Intermediate 2, Upper Intermediate and Advanced. From 1 to 16 weeks. 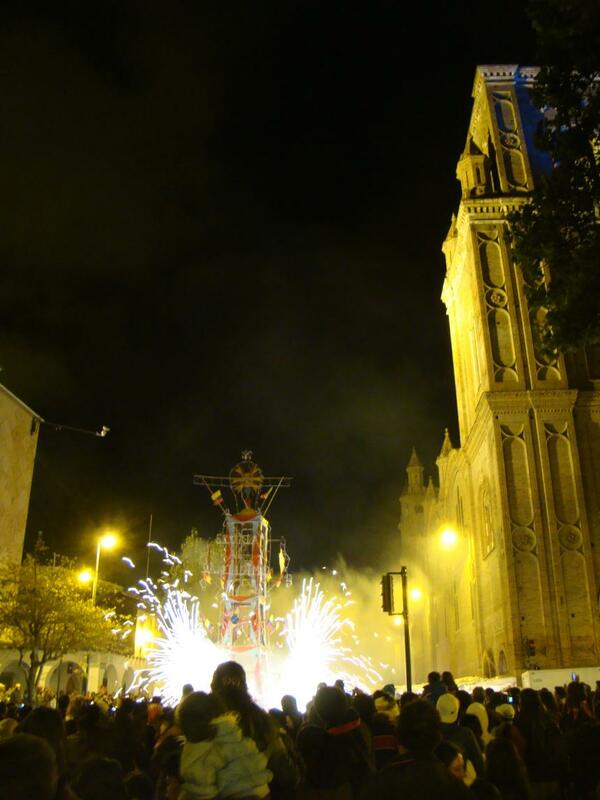 3 Visits to the museums and monuments of Cuenca (entrance fees not included). Participation in School activities (films, parties, meetings). 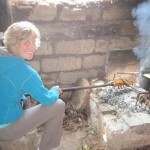 Help in organizing trips, expeditions, adventures. Intensive Spanish Course PLUS One-to-One 10— 20 Group Spanish Lessons plus 4 Cultural lessons PLUS 10 One-to-One Spanish lessons per week. Course includes: same as Intensive Spanish Course described above plus 10 private Spanish lessons each week. Intensive Spanish Course PLUS One-to-One 5— 20 Group Spanish Lessons plus 4 Cultural lessons PLUS 5 One-to-One Spanish lessons per week. Course includes: same as Intensive Spanish Course described above plus 5 private Spanish lessons each week. 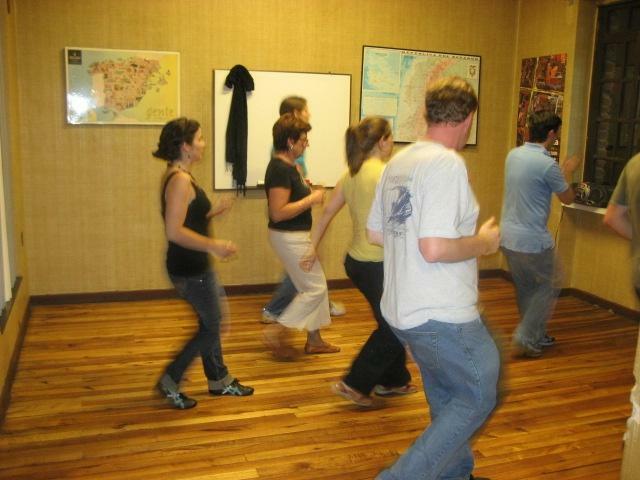 Intensive Spanish Course PLUS Crafts — 20 Group Spanish Lessons plus 4 Cultural lessons (max. 6 students per class) PLUS 10 lessons on Arts and Crafts per week. Course includes: same as Intensive Spanish Course described above plus 10 Arts and Crafts lessons each week (materials are included). Mini-Group Intensive Spanish Courses Starting dates: Group courses will start EVERY MONDAY for all levels. 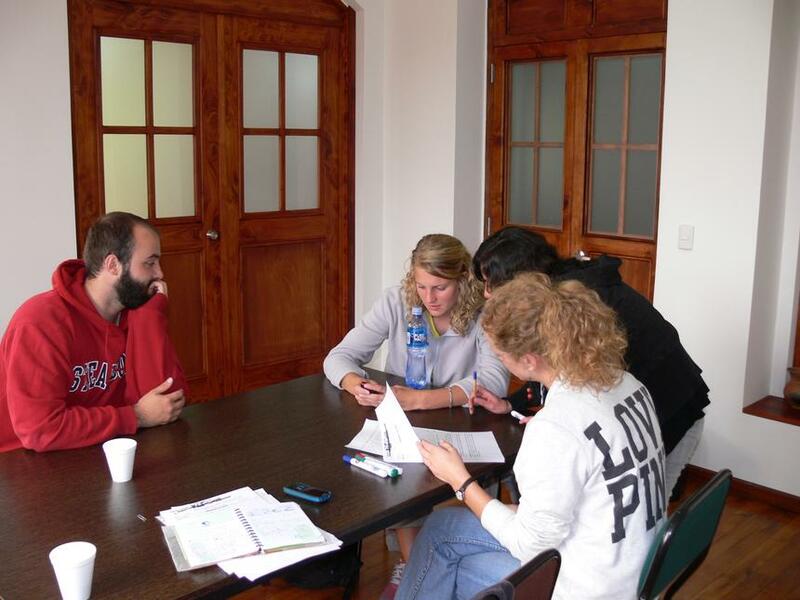 The Total Immersion Spanish Language Courses in Cuenca consist of private lessons exclusively. Students may choose the number of private lessons per week as listed below. This program can be tailored to specific professional needs and job specific vocabulary requirements. This is a very effective program for students that only have a short span of time available and it is offered at very good rates. Students participating in the Total Immersion Spanish course may also participate in the 4 free Cultural lessons offered each week. 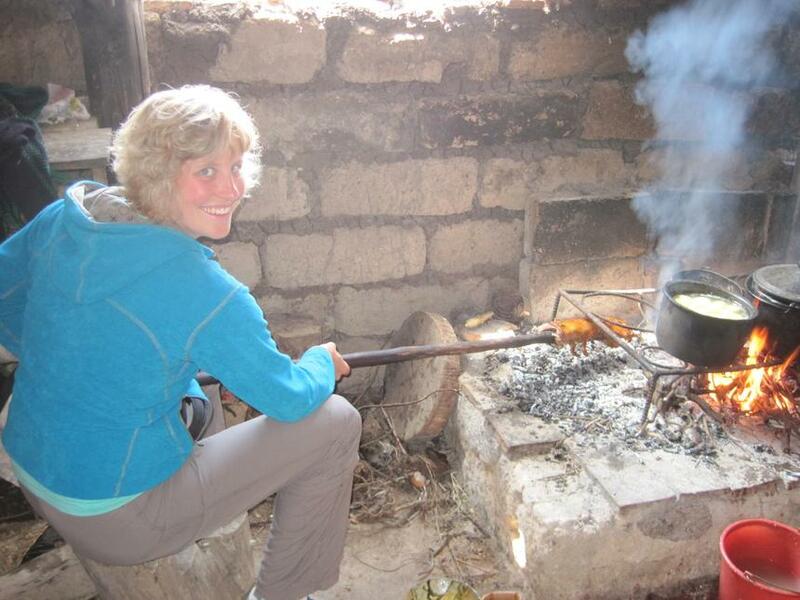 20/25/30/40 Spanish lessons per week (1 lesson = 45 minutes). One-to-One teaching (1 student = 1 teacher). 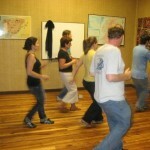 4 Spanish Cultural lessons per week (in group). Books and material required for the Course. All levels (Beginners to Advanced, Teachers, Specialists, Technicians). From 5 days to 4 weeks. The same features as the Intensive Course. 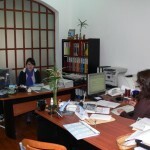 Starting dates for Total Immersion Spanish Courses in Cuenca: Any Monday. Holidays 2018: 1 January, 12 February, 30 March, 13 April, 1 May, 25 May, 10 August, 12 October, 2 November, 25 December. Group classes missed due to holidays or student absences are not made up. Group courses will not be held during 22 December 2018 and 7 January 2019. One-to-One courses will still be offered during this period except on 25 December 2018. Holidays 2019: 1 January, 4 March, 19 April, 1 May, 24 May, 9 August, 11 October, 1 November, 25 December. Group classes missed due to holidays or student absences are not made up. Group courses will not be held during 21 December 2019 and 6 January 2020. One-to-One courses will still be offered during this period except on 25 December 2018. Airport Transfers are now optional and offered at additional cost! : Airport transfers are available from Quito or Guayaquil at an additional cost (USD 249.00 for arrivals in Quito and USA 199.00 for arrivals in Guayaquil). 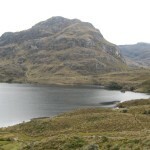 Students are met at Quito or Guayaquil airports and aided on their trip to Cuenca. 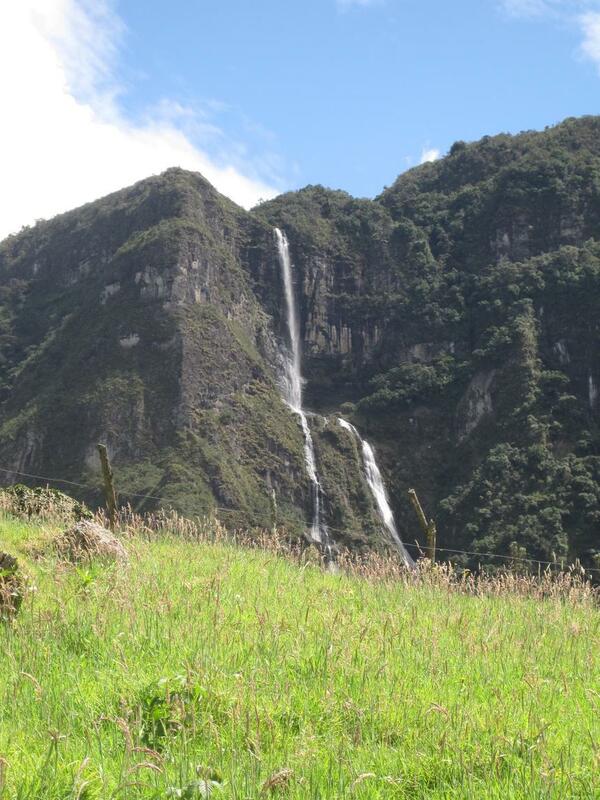 Airfare Quito-Cuenca or Guayaquil-Cuenca ONE-WAY is included in this price (return ticket is approx. 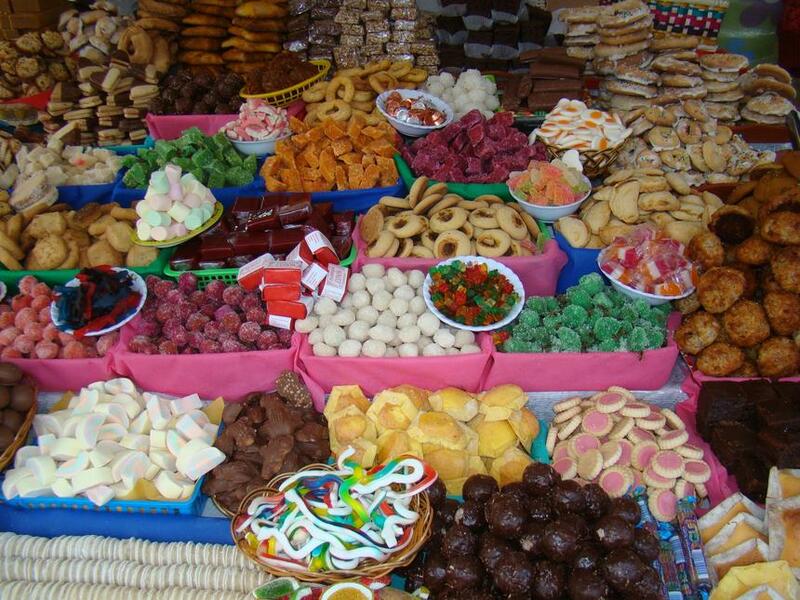 USD 100 and must be purchased locally upon arrival, alternatively ground transportation is available for approx. USD 60). 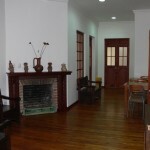 Overnight hotel in Quito or Guayaquil is also included on the price. 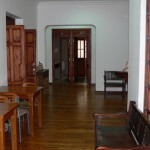 Transfer to host family or hotel upon arrival in Cuenca is also included in the price. 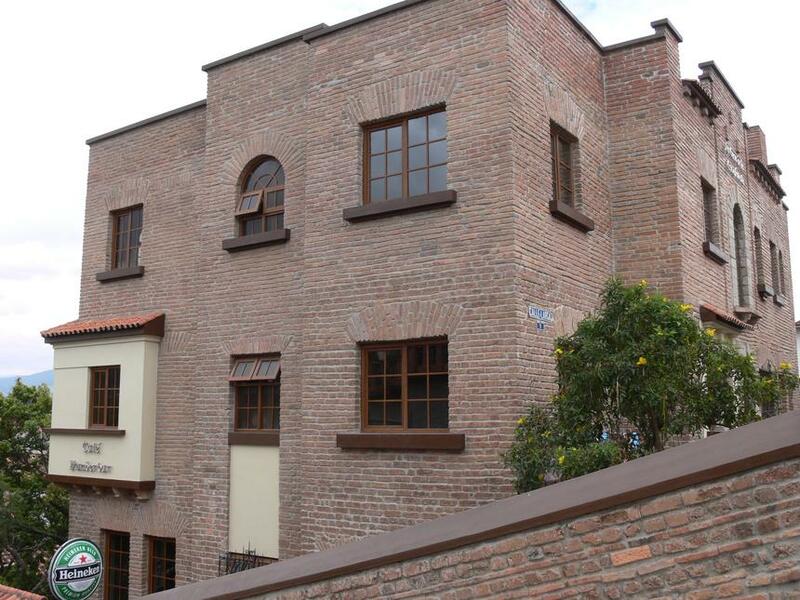 Hotel accommodations may be required in Quito or Guayaquil upon arrival may be required due to flight arrival time. If your flight arrives in Quito or Guayaquil late in the evening, please make a reservation for SATURDAY arrival. 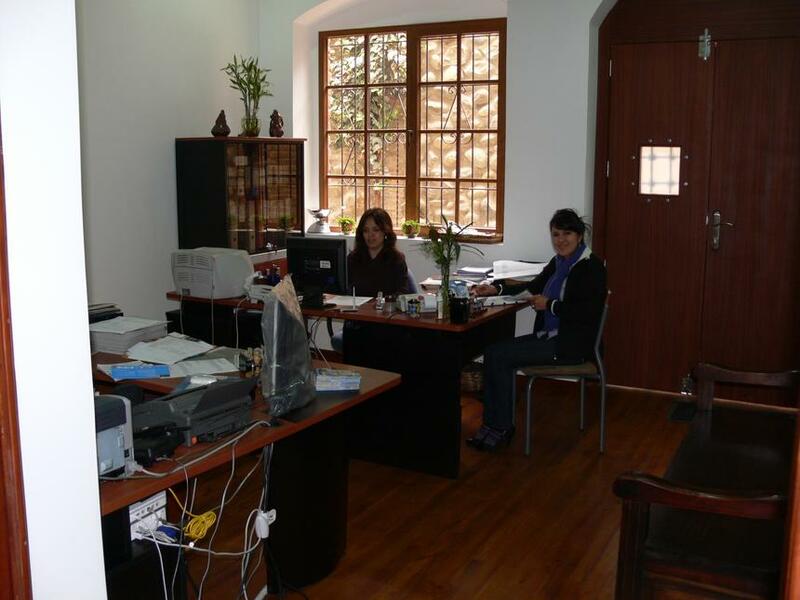 The school will make the hotel reservation and assist students with transfer to a local hotel. 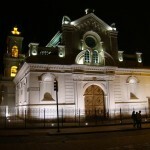 The cost of a one night stay in Quito or Guayaquil (if necessary!) is also included in the transfer price. 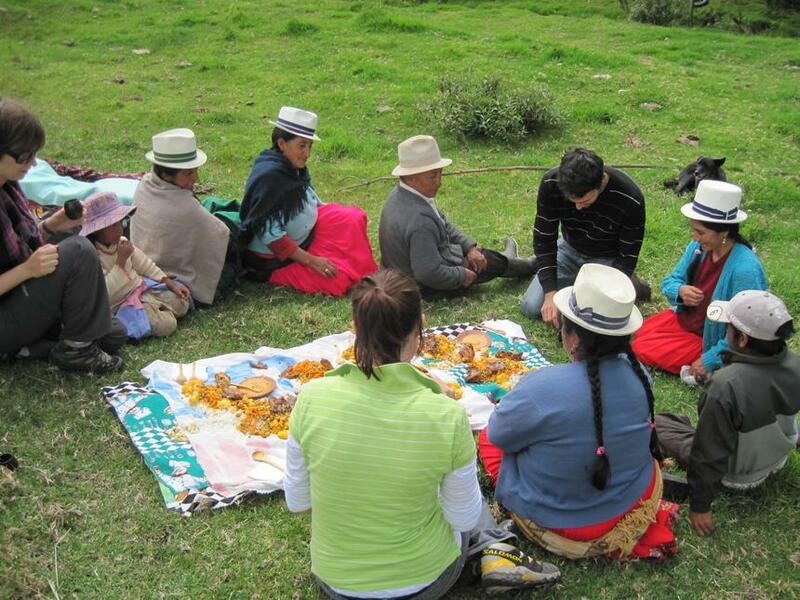 Living with an Ecuadorian family allows the student to integrate him or herself into local everyday life and practice their Spanish in different situations. Estudio Sampere has chosen upper-middle class families which will welcome the student as if he or she were another member of the family. 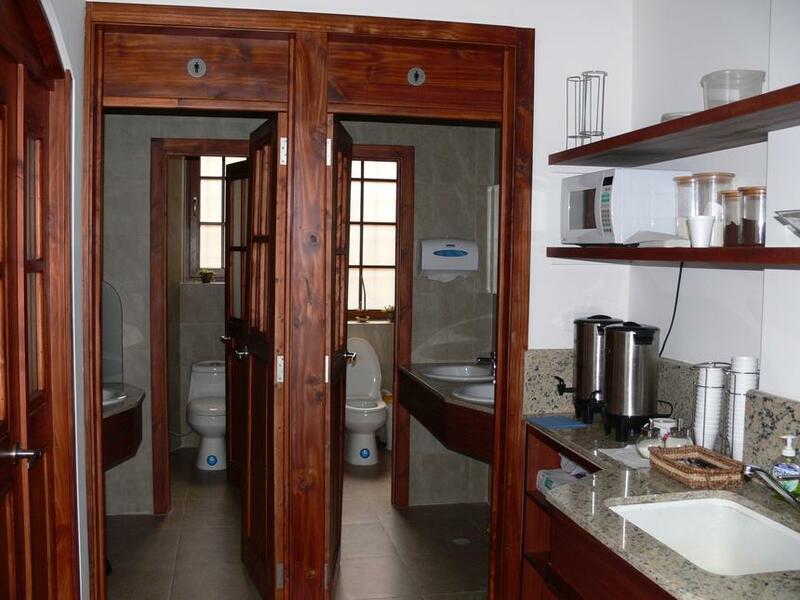 The student will have a single room, at times with a private bathroom, and will eat the three main meals of the day with the family. Other accommodation options: Students looking for alternate accommodations to host family stays can also share an apartment with other students or stay at local hotels or apartments. 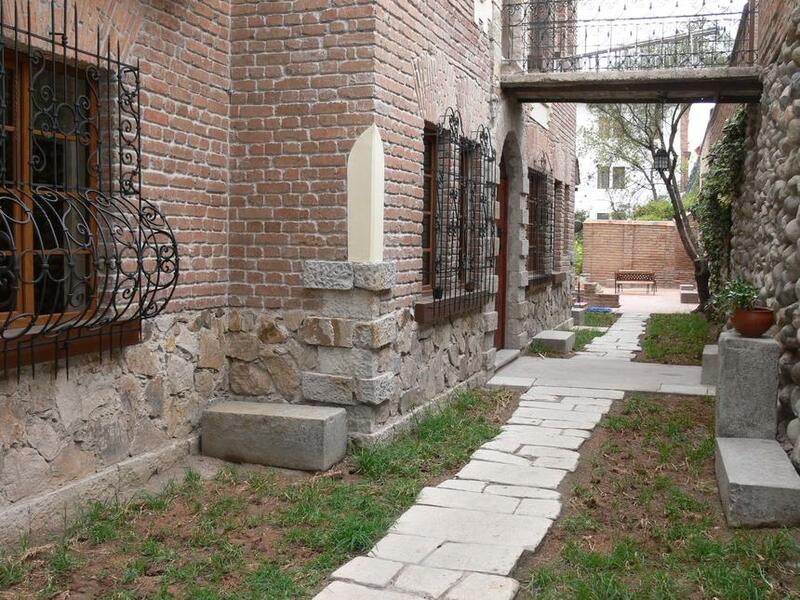 Hotel La Casona: Breakfast and taxes included. 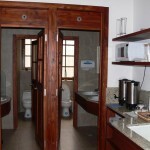 Apartamentos OTORONGO: Studio apartments, private bathroom, kitchenette. Single occupancy. 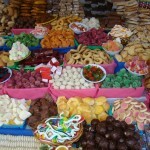 - Special Diets (vegetarian, vegan, gluten free, etc) are available in host families at additional cost of USD 25 per week. We recommend you reserve a week, or at least a few days, to travel after having finished the Course. 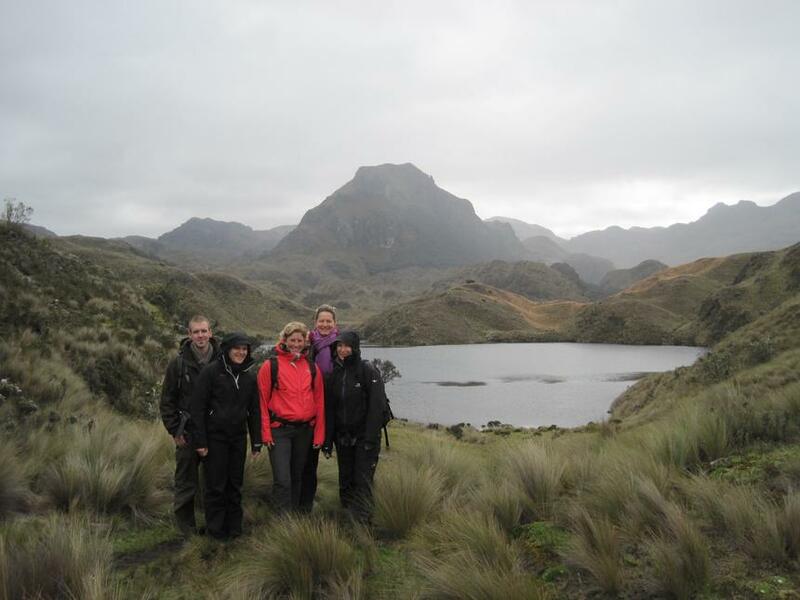 You can venture into the rain forest or marvel at the Andes or the Galapagos Islands to discover for yourself some of the wonders of Ecuador. 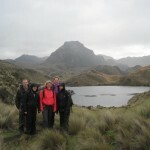 Estudio Sampere will offer any help necessary to organize trips, expeditions and adventures. All activities organized by Estudio Sampere, such as visits to Indian markets, monuments, charming craft villages and natural parks, aim to help the student mix with the charming and hospitable local people and appreciate their fantastic natural treasures. Public transport or private vehicles are used to journey to dreamlike places where the traveler is always made to feel welcome. 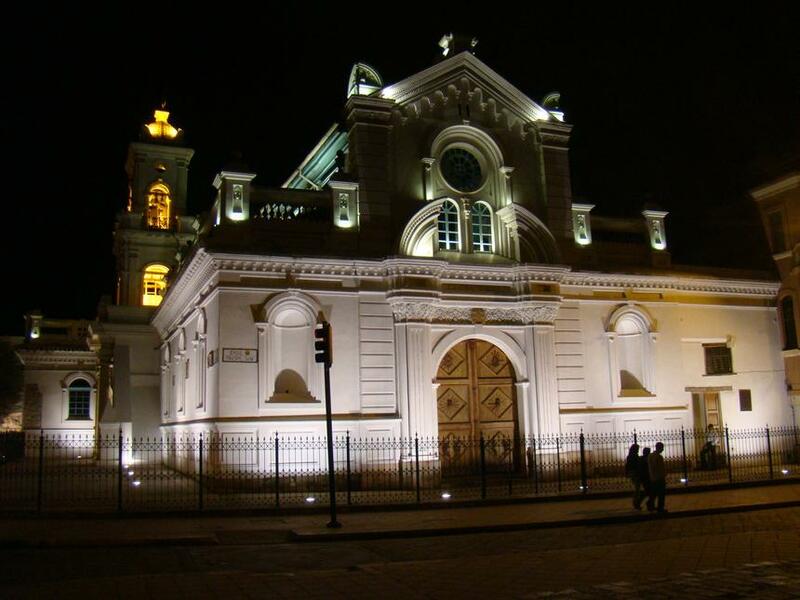 To reach Cuenca from abroad, one must first travel to Quito, Capital of the Republic of Ecuador or to Guayaquil. Today there are many airlines which link Europe and the United States with Quito or Guayaquil at reasonable prices. Airlines such as Iberia, Air France, KLM, Lufthansa, Avianca, American Airlines and Viasa fly regularly to Quito with one intermediate stop. 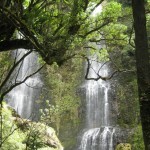 Your travel agency can recommend the best schedule and prices. Upon request the school can arrange a transfer from Quito or Guayaquil to Cuenca at additional cost (see below). In this case the school purchases the Quito/Guayaquil-Cuenca ticket when we receive your registration form, as it must be purchased in Ecuador. Estudio Sampere personnel will meet each student after the Quito or Guayaquil Airport’s Customs and Passport Control area to provide them with their ticket to Cuenca and to help them in any way necessary. 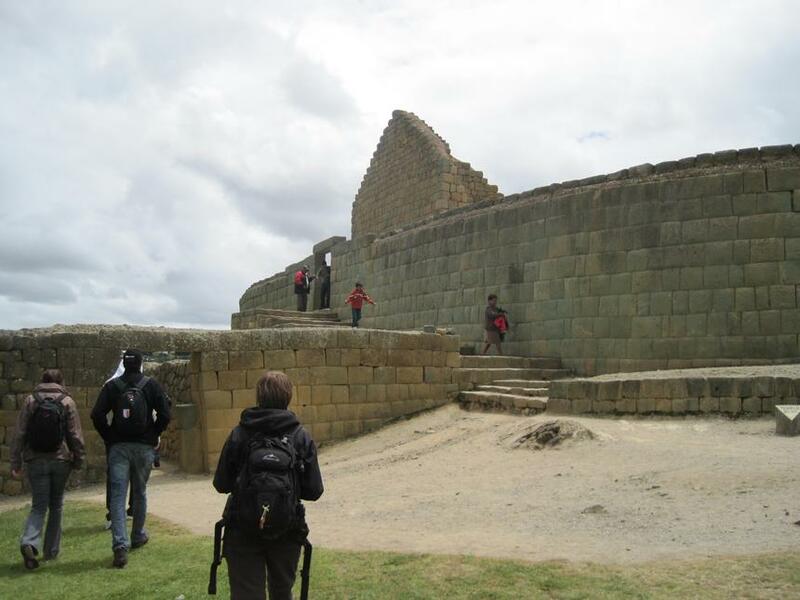 It will not always be possible to connect with a flight to Cuenca on the same day, in which case Estudio Sampere personnel will accompany you to a comfortable hotel to spend the night. 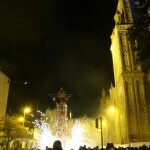 The following day, you will be accompanied to the airport to catch the first plane to Cuenca. 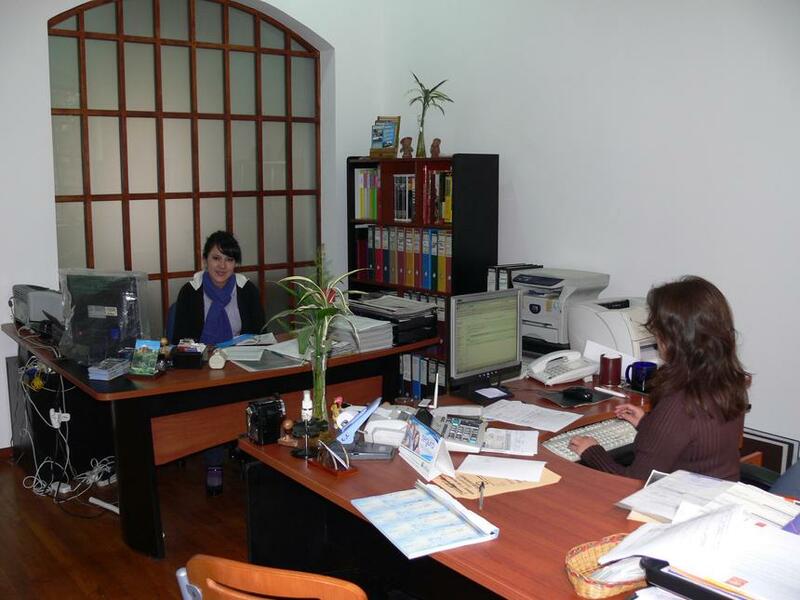 School staff will be waiting for you at the Cuenca airport to welcome you. What you pack is important. Don’t forget to take rain gear, comfortable shoes, and a warm coat for the heights. Ecuadorian authorities do NOT require a VISA for the citizens of many countries. If you are not sure, consult the nearest Ecuadorian Embassy. No special vaccinations are required, but you may wish to consult your doctor. Banks and Money Exchanges exchange French Francs, Deutsche Marks, Swiss Francs, etc. but we recommend taking travelers checks in US Dollars. These are accepted everywhere. You may also wish to take a few small bills, also in US Dollars. VISA, MasterCard and AMERICAN EXPRESS credit cards are quite common and accepted at many establishments.